It is pretty obvious that children’s still developing immune systems require really special care. 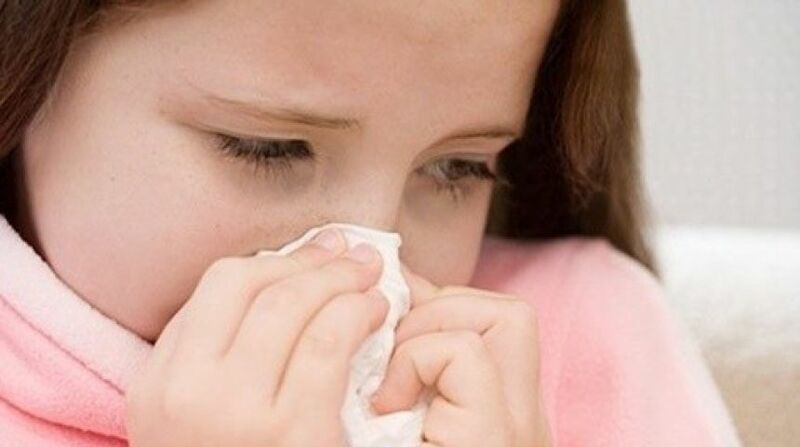 So what should a parent do if his little one has a runny nose, chest congestion or a terrible cough? Just to keep you calm we made a little list of things you could give to your child in case he has a cold. Saline drops is another way to cure child’s runny nose. This simple mix of salt and water quickly soothes inflamed nasal tissue, thins and loosens nasal mucus and gives runny nose a new chance to breath normally. If you did not know, administering saline drops also provides relief for irritated nasal passageways, as well as for the nasty nosebleeds, usually caused by the dry air. In case you did not know how to use saline drops, you should apply it when your little one is in a reclined position with his head also supported and tilted back at a slight angle. Just squirt 2-3 drops of saline into each nostril. Be sure not to forget to continue holding your child for a few moments to help the saline become fully absorbed. Only then return your baby to a sitting position and let saline drops draw the nasal mucus out. By the way, you should be aware that while saline drops do their great job at temporarily relieving your little one’s nasal congestion, saline and other cold remedies treat only the symptoms of the cold and do not shorten the life of the viral infection. If you want your little one’s runny nose gone as soon as possible, you should definitely try using a bulb syringe. As you probably already know, most babies are not developmentally capable of blowing their tiny noses until around age two, that is why until your child responds when you ask him to blow, you will surely need to find alternative remedies to treat that nasty nasal congestion. For very young babies, an infant-size nasal bulb syringe works very well. And all you have to do is to cradle your little one in a semi-upright position, also, make sure that kid’s head is well-supported, then squeeze the bulb and gently place the rubber tip into one nostril and lastly, just slowly release the bulb, the suction produced will draw the clogged mucus out of child’s nose. By the way, you should always remember to use this method only when your little one’s nose is so clogged that he is having difficulty sucking to drink or falling asleep. As a parent it is very useful to know that the humid air is a great natural decongestant during the overnight hours. Breathing this in works to soothe wheezy coughs, clears child’s nasal passages and also loosens mucus in little one’s lungs. Running a humidifier in baby’s room overnight might help your sick child finally get some so much needed rest. To use it properly, you should firstly shop for a room-size home humidifier. A cool mist humidifier is the safest choice to leave in a child’s room. To make sure there will be the best humidifier results possible, fill the reservoir tank according to manufacturer’s instructions and then place the unit on the floor or other hard surface. Begin running the humidifier at least an hour before bedtime and periodically check the tank’s water level. You should know this method honestly works for everything. If you are caring for a sick child, especially baby, just put some extra effort into comforting your little one and make him feel truly cared for and loved. Positive parental attention always distracts a kid from the aggravation of a runny nose. It is the best to create a peaceful atmosphere because it helps a baby to relax and have a little rest. Just cuddle in bed with your child and read some stories together until he falls asleep. Just temporarily, but still move your baby’s crib into your bedroom so you would be able to reach him when coughing wakens your little one during the night or in the daytime.